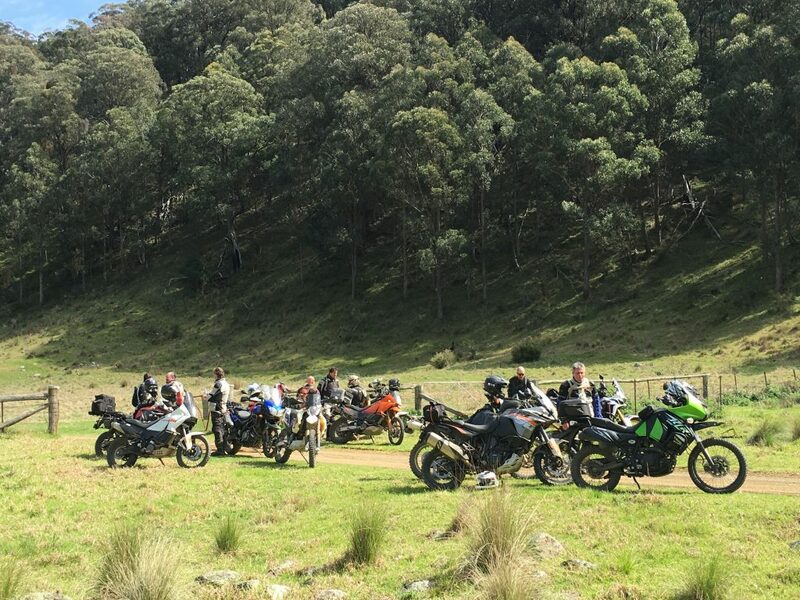 One “Dusty” Taylor invited fellow riders in the CSBA Adventure Riders group for a one day ride with the intention of meeting some CSBA Road Riders at the Moonan Flat pub for lunch. The roadies would use the tar, the adventurers would ride dirt and everyone would be happy. 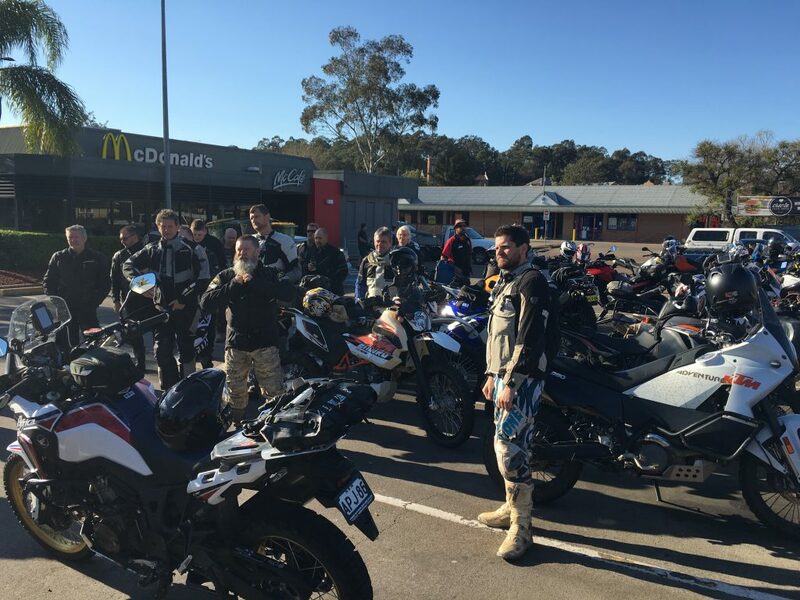 A decent sized group met at Macas Cessnock and after some formalities we were on our way. 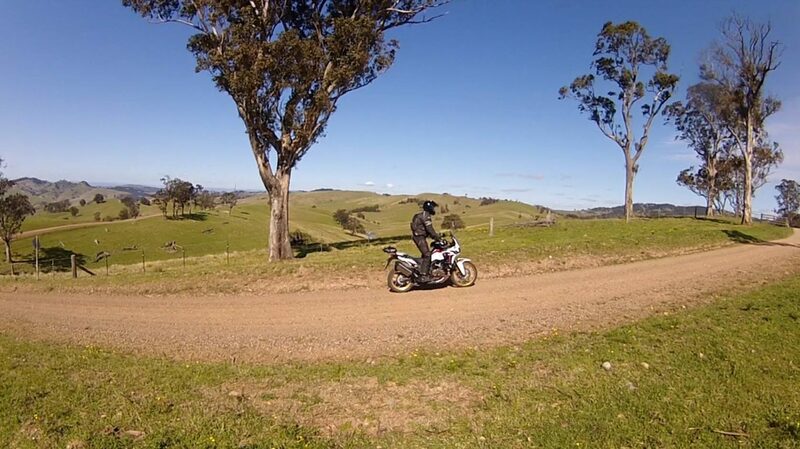 I was on my Africa Twin so it was dirt for me. 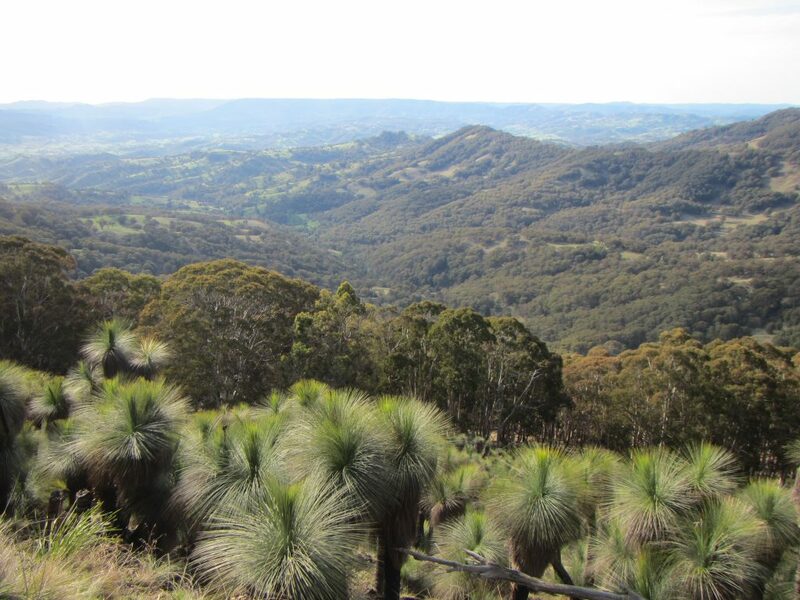 We rode to Singleton and turned right on Bridgeman Road and on to Goorangoola Road. 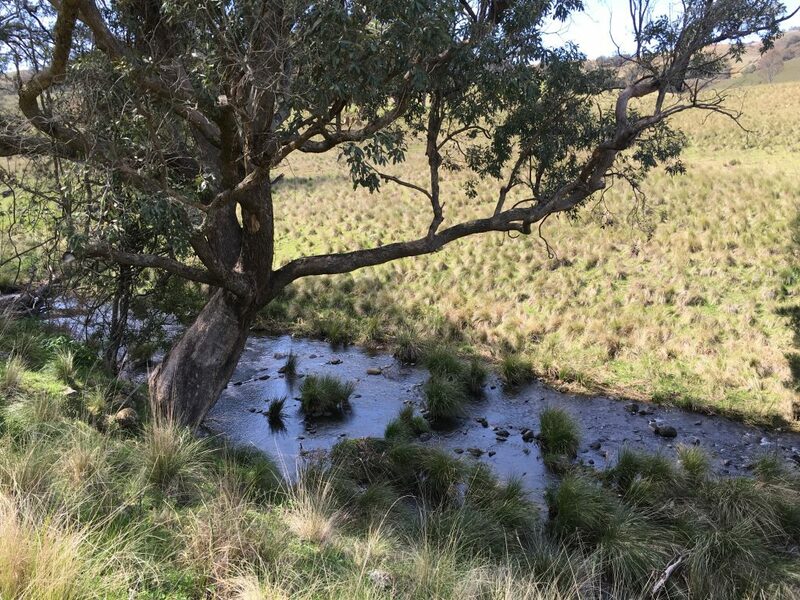 There are some lovely fords and creek crossings along here and through Bowmans Creek Road. This photo of me on the AT by Wayne Dowsent. There were about 19 of us riding the dirt and up this way the top of this hill is a great time to stop and regroup. An issue with the corner man system saw the regrouping take a little longer then expected. 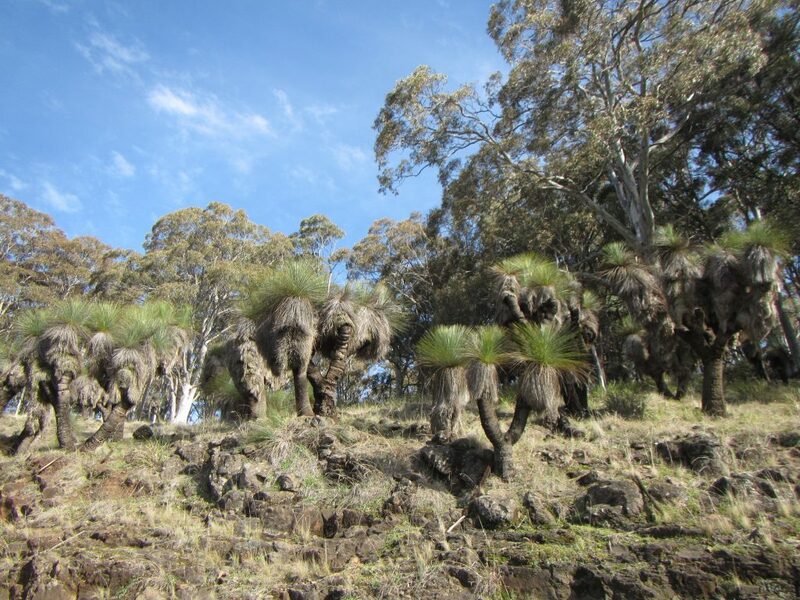 We then followed our noses to Stoney Creek Road through to Rouchel. 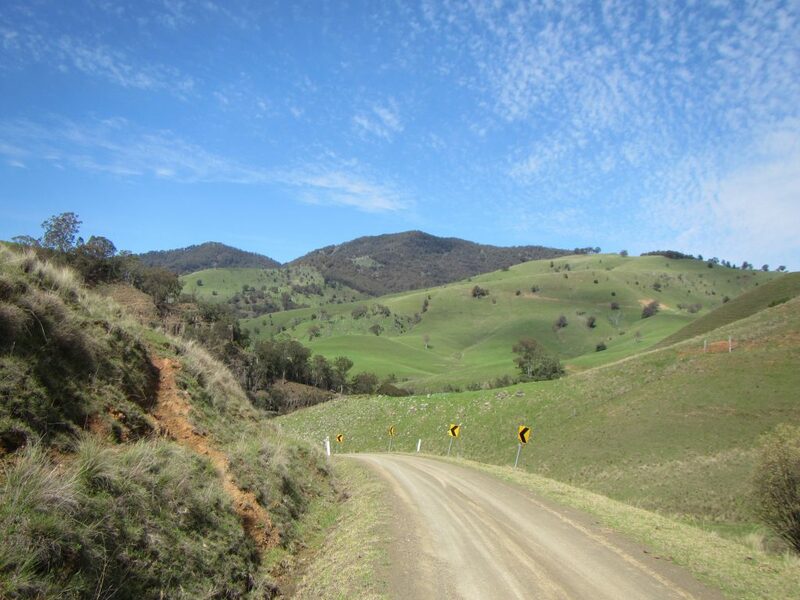 In the past I’ve turned left here but Dusty’s route took us to the right on a beautiful gravel road to Upper Rouchel. We rode through a gate and Dusty mentioned the ride got a little more technical for the next bit. It was a lovely spot to stop and prepare for the unexpected. Then the mud hit the fan. It was carnage. There were trees down but not as many as bikes. 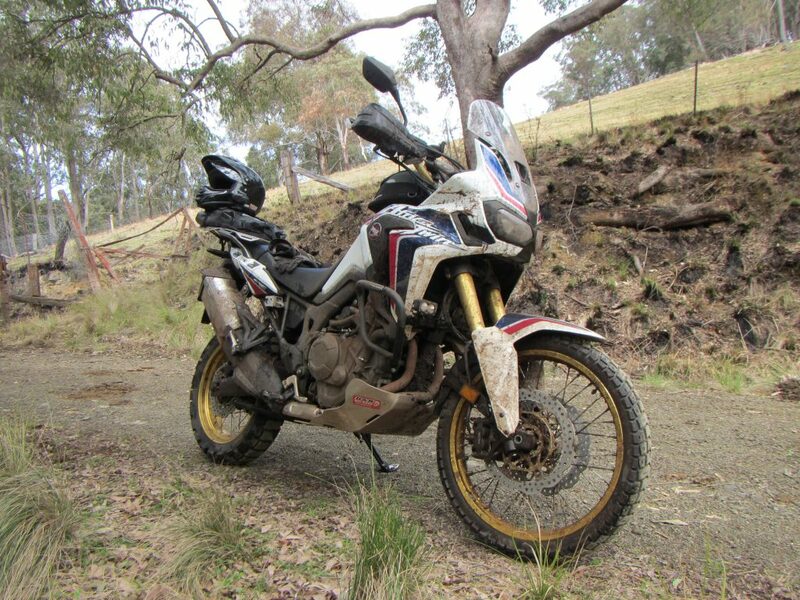 At one point I completely lost traction on both wheels of the Africa Twin which fell unceremoniously into a bank cut into the hill. I recall watching the right blinker insert itself into the muddy wall as the bike trapped my right leg. I was stuck until one of the other riders helped straighten the bike up and free my leg. The following photo was taken by Dusty Taylor. Not much later the AT got a taste of having the other side in the mud, completely side lying this time and unfortunately again with a leg, left this time, caught under the bike as my Klim gear soaked up mud and water. Rescued again and continuing on I was grateful that these were the only two times I fell. Here’s Sean enjoying the mud (another pic by Wayne Dousent). I took the muddy groove on the right side of the photo through this one. I lost count of how many near misses I had. 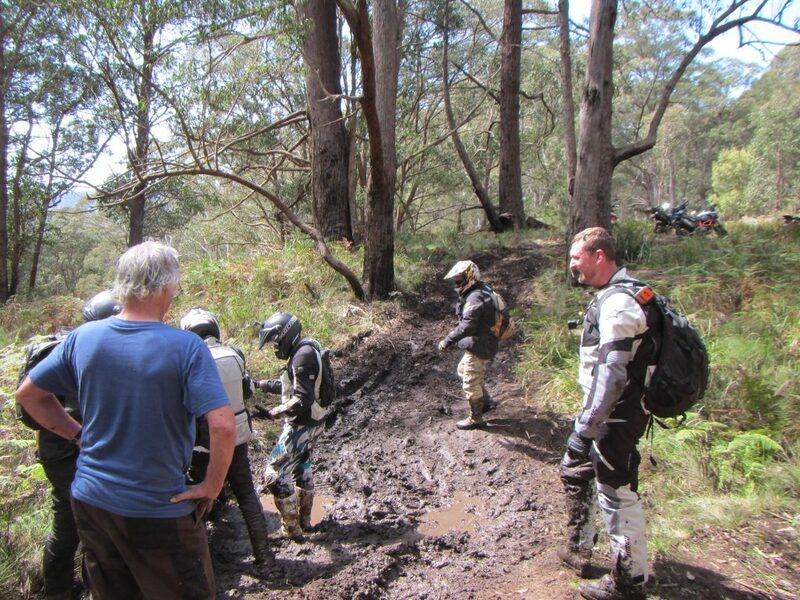 At one point I lost traction and momentum going up a small mud/clay rise, managed to stay upright but couldn’t move forwards, just side backwards. I managed to step off it, roll it back and take another path up the rise. Getting to that point saw me breathless, sweating like a pig and muttering profanities under my breath. 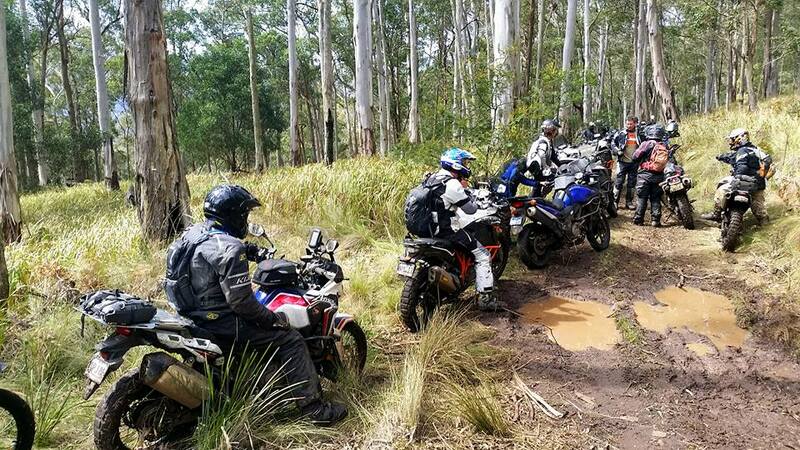 Many of the group were exhausted from this part of the ride, progress was insanely slow but spirits remained high. The bike needed a wash too although a couple of creek crossings had already helped here. Dirty from a few perspectives. Eventually we made it out of the quagmire, enjoyed some more tricky (for me) creek crossings and joined back on to the tar. 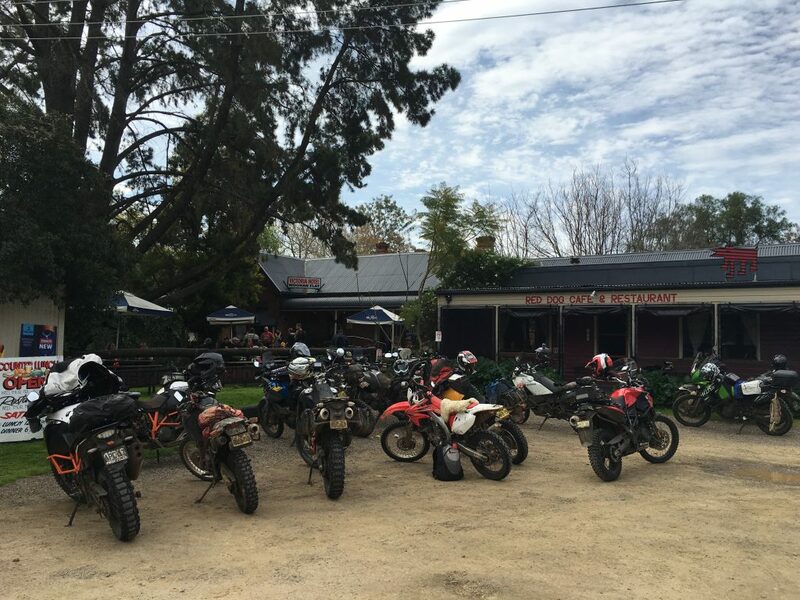 By the time we arrived at the Moonan Flat Pub most of the road riders had left. We just made it in time for lunch at the Red Dog and took an opportunity to catch back up on calorie intake from the exhausting manual work we’d just been through. 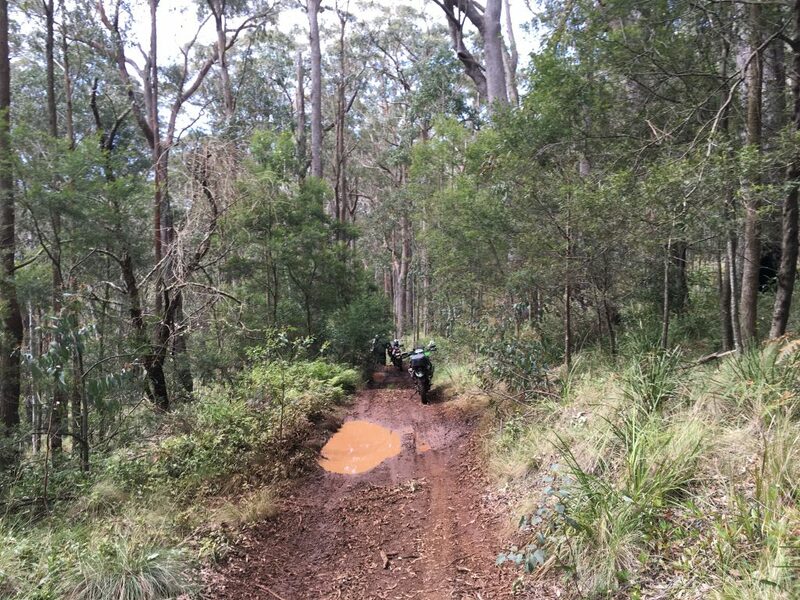 After lunch we took the Hunter Road then Tomala Road and the riding conditions improved. Although one rider on a big KTM had a little lie down and nap on the road after not quite making it around a corner. Fortunately he was all good but chose to take a more direct route home supported by some others in the group. We continued back on to the tar through Barrington and stopped for fuel at Gloucester before riding the good ol’ Bucketts Way back home arriving well after dark with the loop taking about 11 hours. It was an awesome day but it did take a few days for the bruising and soreness to subside. It’s definitely the most technical stuff I’ve done on an adventure bike. The Africa Twin was well up for it, I probably wasn’t. 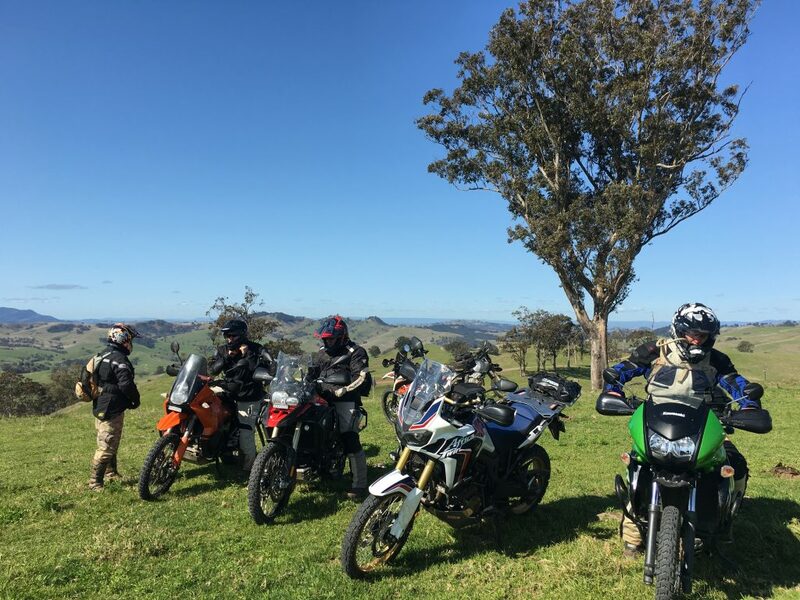 The Motoz Tractionator Adventure on the back worked OK compared to the other tyres being used. 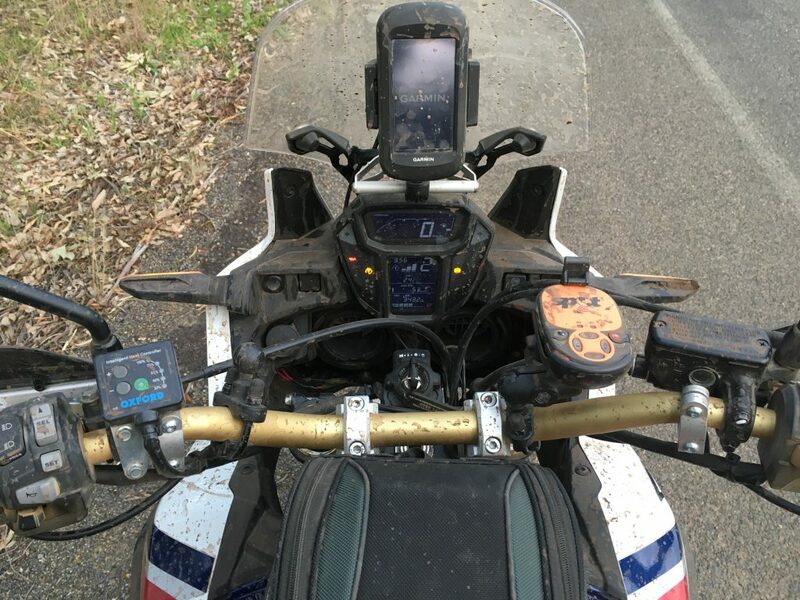 The Tractionator GPS on the front was fine on the gravel and all but useless in the mud. That’s not a surprise though and I’m not blaming it for my offs. 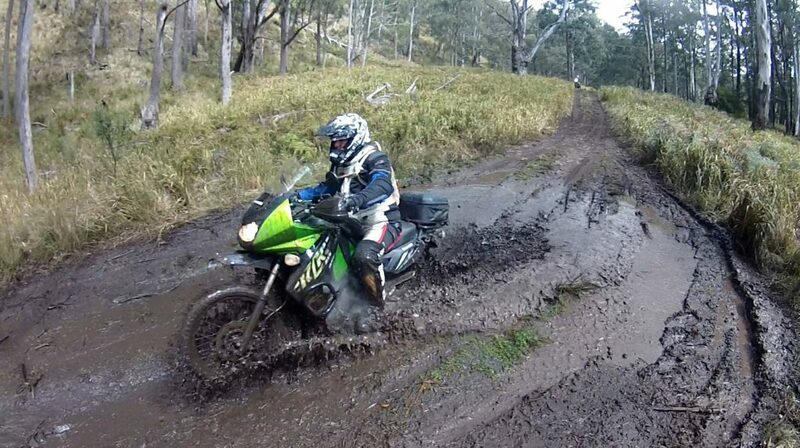 I did however learn bucketloads about riding without traction. I hope to learn next how not to get trapped by the bike when it falls over. I’ll definitely put serious consideration into going on another of Dusty’s Dustups though!